I ordered the citrine. The stones had very little coloring. Looked more like a clear stone. 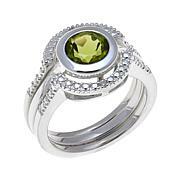 I was expecting a deeper tone of citrine.The ring was uncomfortable on the finger as well. 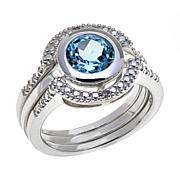 The stones poked into the folds of the other fingers on each side of the ring finger. The style of the ring warrants a higher star rating, BUT the color is a pale yellow, not the orange looking color of a Madeira citrine, which is what the picture looks like. 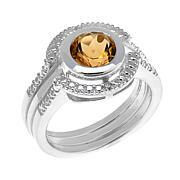 So buyer beware...if you're okay with the pale yellow citrine then it's a cute ring. I'd also recommend Sevilla slightly shorten the width of the stones as they kind of go between the fingers and that's not comfortable. I can wear it on my middle finger and thumb. 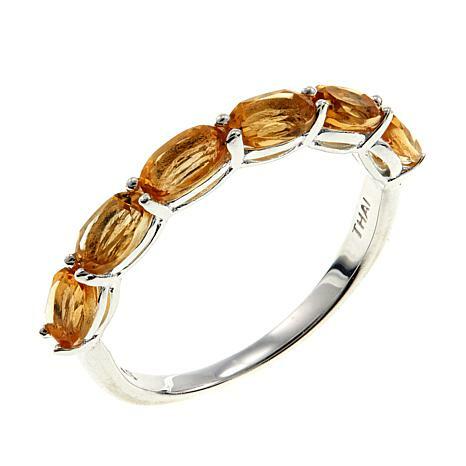 I bought the matching stretch silver beaded citrine bracelet.